﻿ Who is Entitled to Medicare Coverage? Who is Entitled to Medicare Coverage? Are you about to cancel your health insurance? Are you an uninsured citizen? Either way, you may be wondering who exactly is eligible for Medicare coverage, and whether or not you can receive it yourself. The truth is that there are a few circumstances that would render you eligible for Medicare, but some of them might be you might have to wait for. People that are US citizens and 65 years or older are automatically eligible for Part A coverage. Even though people that fit this requirement are eligible, part A must be paid for. People that are 65 or older are also eligible for Medicare if they are receiving (or are eligible for) retirement benefits. People that are under the age of 65 can receive Medicare coverage as well if they fall into a few of the following categories. For example, a person under the age of 65 can receive Medicare benefits if he/she is receiving Social Security Disability Insurance or Railroad Retirement benefits. There is typically a two year waiting period for people in this category. 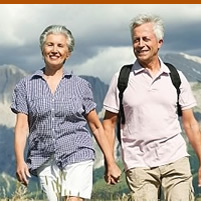 A person that is under the age of 65 can also receive Medicare coverage if he/she has end-stage renal disease. That person (or their spouse) must have also met the Medicare work requirement. Children are also eligible for Medicare in this case if at least one of their parents have met the work requirement. The government Medicare website also offers a Medicare eligibility tool for those who aren’t sure if they’re eligible or not. Simply fill out the online form to determine whether or not you are entitled to Medicare coverage.